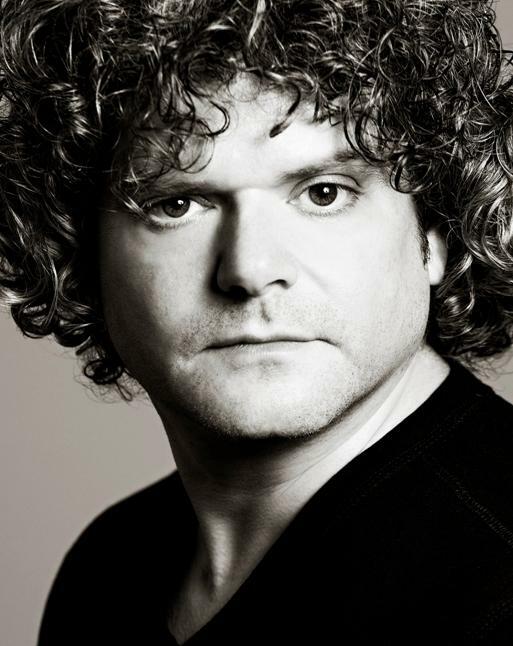 Murry Sidlin Conducts the TCC Signature Symphony in "The Defiant Requiem"
Aired on Friday, April 17th. 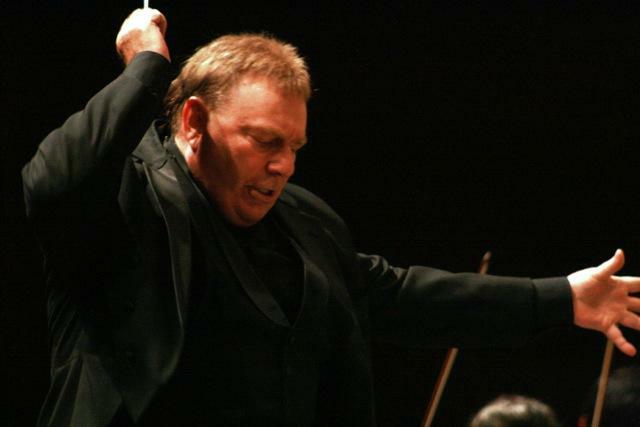 Our guest today on ST is Murry Sidlin, an American conductor who's a professor of conducting at Catholic University's Benjamin T. Rome School of Music; he's also worked with the Baltimore Symphony, the National Symphony Orchestra, the Oregon Symphony, the Tulsa Philharmonic, and the Connecticut Ballet, among many other notable musical organizations. In 2011, Sidlin was a guest conductor for the TCC Signature Symphony in a performance of "The Defiant Requiem," and he will reprise this majestic work, once again holding the baton, tomorrow night, Saturday the 18th, at 7:30pm at the Van Trease PACE at the TCC's Southeast Campus (at 10300 E. 81st Street). "The Defiant Requiem" is a concert/drama -- both conceptualized and created by Sidlin -- about the performance of the Verdi Requiem by prisoners of the Terezín Concentration Camp. At once puzzled and challenged by the question of why a group of Jewish prisoners would learn and sing the Verdi Requiem -- which is a Catholic Mass, after all -- Sidlin personally researched this story, and in doing so set out to locate any and all surviving members of the original chorus. His passion and commitment to honoring these survivors, and all victims of Terezín, is what led to the creation of "The Defiant Requiem." In this edition of our show, we listen back to a conversation with Sidlin from 2011, when we was last in town to perform this work. 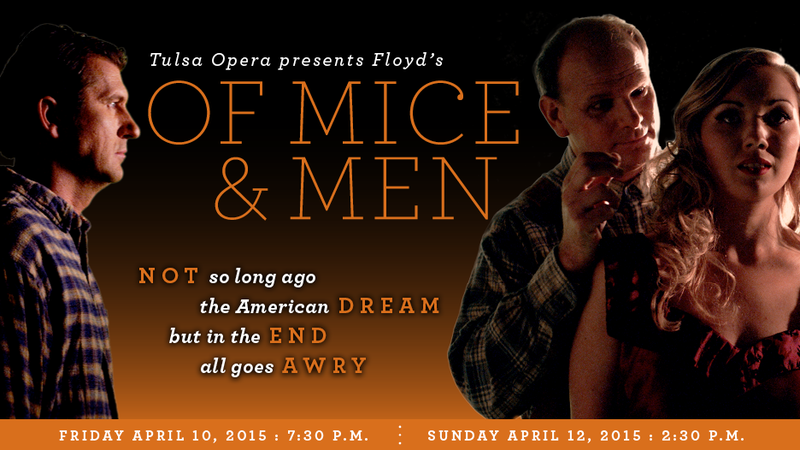 Tulsa Opera Presents "Of Mice and Men"
On this edition of StudioTulsa, we speak by phone with the acclaimed American composer Carlisle Floyd, whose opera, "Of Mice and Men," will be staged this weekend (that is, both this evening and Sunday afternoon) by Tulsa Opera at the Tulsa PAC. This widely performed work was first performed in 1970 by the Seattle Opera; other notable operas composed by Floyd include "Susannah" (1955), "Wuthering Heights" (1958), "Flower and Hawk" (1972), "Willie Stark" (1981), and "Cold Sassy Tree" (2000). 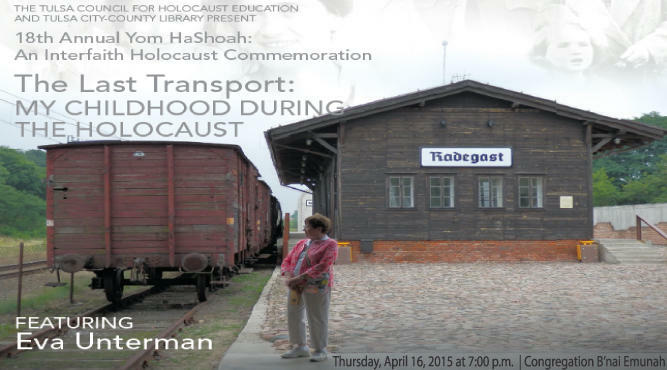 Tomorrow night, Thursday the 16th, the 18th Annual Interfaith Holocaust Commemoration -- or Yom HaShoah -- will be presented at Congregation B'nai Emunah in Tulsa, at 1719 South Owasso. 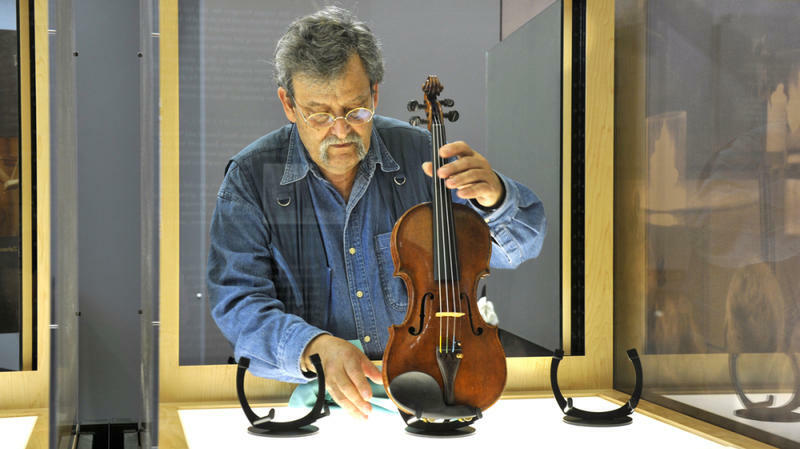 The event is free to the public and begins at 7pm; it's co-sponsored by the Tulsa Council for Holocaust Education (which is a committee of the Jewish Federation of Tulsa) and the Tulsa City-County Library.